"This perked him up," mom Danita Tutt said. A terminally ill teen got the surprise of his life recently when WrestleMania star Erick Rowan showed up at his home in Texas. Colby Tutt, 13, was sitting on his couch on March 30 when Rowan, a member of WWE's villainous "Wyatt Family," walked in. "He was the nicest guy and the smile on Colby’s face was just priceless," mom Danita Tutt of Cleburne, Texas, told ABC News. "I held back tears because Colby doesn't like to see anyone cry, but I thought it was awesome." Tutt, 40, said Colby suffers from multiple chronic illnesses, including a blood infection, heart condition, kidney disease, short-term memory loss, high functioning autism and osteogenesis imperfecta (brittle bone disease), among many other medical issues. "All of his problems stemmed after he came out of the NICU," Tutt said. "He’s now up to 34 diagnoses. ... There's no cure for what he has and no way to fix it." (Danita Tutt) Colby pictured with his brother Colton, 8, on the way to WrestleMania. Tutt said a photographer at the hospice where Colby was being treated happened to be friends with Rowan. "He called him and Erick said, 'Say no more, I'll come and take pictures,'" Tutt said. "Erick came in and he said, 'Hey, is there a Colby Tutt here?' and Colby turned around and said, 'Oh my gosh, I can't believe this.' Here is a superstar we watch on 'WWE Raw' on Sundays and 'Smackdown' on Thursdays and he took the time to come here and sit with Colby. Colby hadn’t been feeling well for days and this perked him up. This showed me that guy has a big heart." (Danita Tutt) Danita Tutt photographed with her son Colby at WrestleMania on April 3. Tutt, who caught the meeting on camera, said Rowan chatted, played video games with her son and even gave him WWE wrestler figurines. 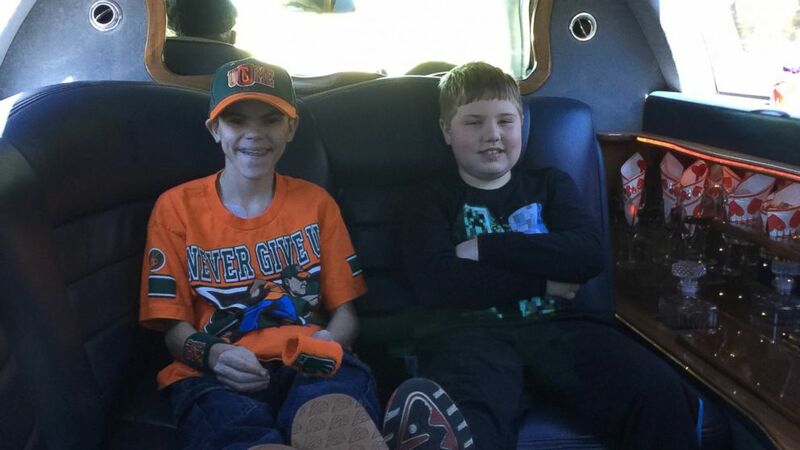 Four days later, Colby's final wish came true when he was able to attend WrestleMania 32, along with his brother Colton, 8, who suffers from a PCD--a genetic decision that affects the lungs. 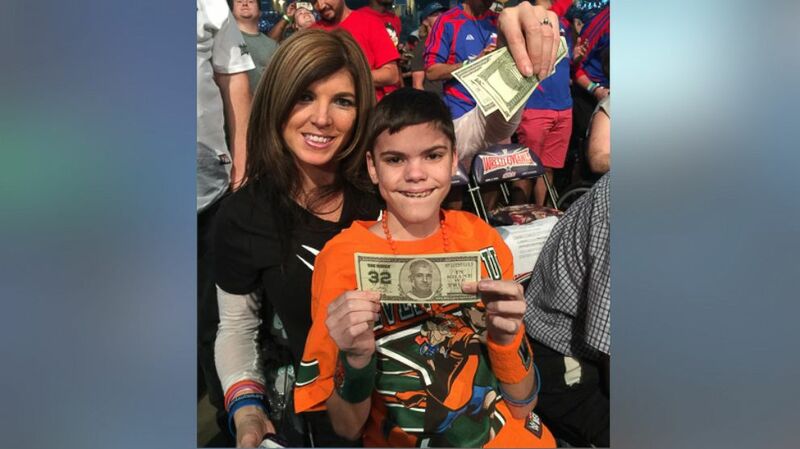 Thanks to a social media sharing the family's GoFundMe page, "Help out the Tutt Boys," WWE headquarters made Colby's dream come true--something that his mother said he was thrilled to experience. 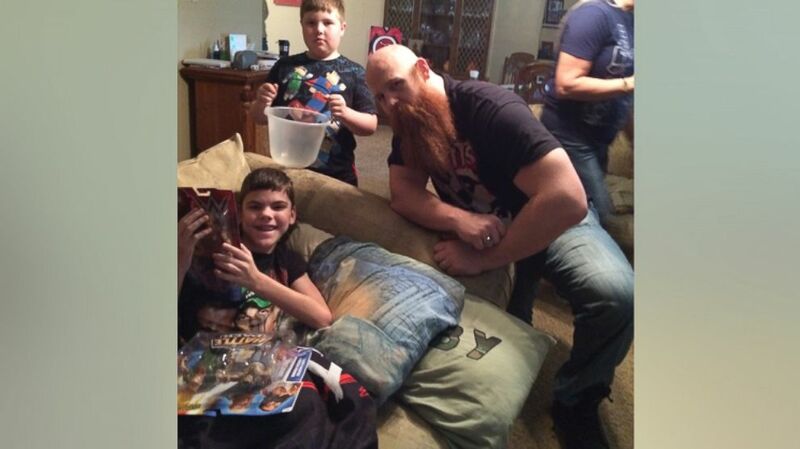 (Danita Tutt) Colby Tutt, 13, of Cleburne, Texas received a surprise visit from WWE wrestler Erick Rowan on March 30. "We decided to make memories and give him the best quality of life we can," Tutt said. "If everyone could see the world the way Colby does, the world would be a better place. He’s just an amazing kid that doesn’t deserve anything he's had to go through these last 13 years." Following WrestleMania, Colby received encouraging video messages from wrestlers Hulk Hogan, AJ Styles, Jeff Hardy and Sting, Tutt said.